I hope you’ve all had a nice weekend? I expect you will have all guessed by now that the next kitty in line for Spotty’s Spotlight is my very own sister, Lula! 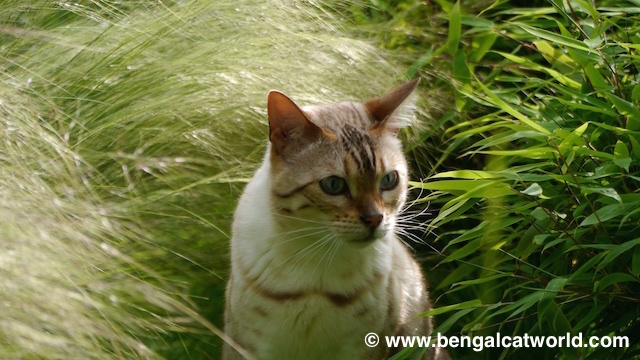 Lula was born on 14 May 2011. There were only the two of us in our litter, so we have always been very close. 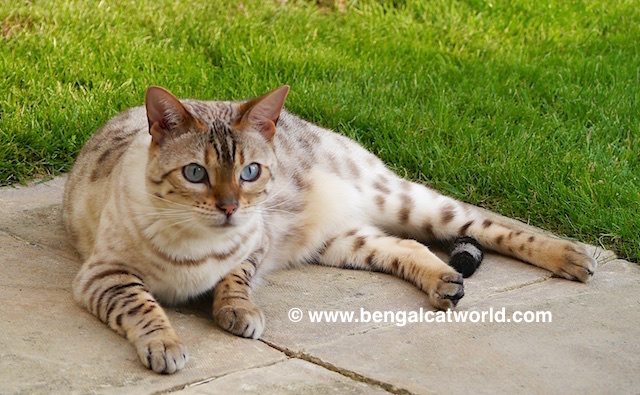 Lula is a snow spotted Bengal, also known as a Seal Lynx Point which you can tell by the shades of her colouring and her bright blue eyes 🙂 You can also get Seal Mink and Seal Sepia Snow Bengals but they don’t have blue eyes and are darker from a younger age. 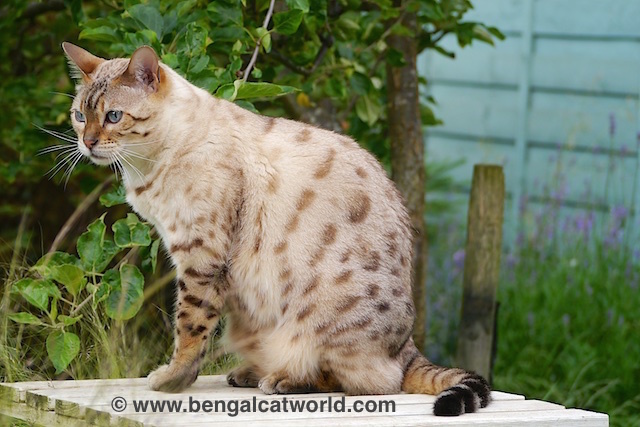 Lula’s full pedigree name, including titles she has earned from cat shows is – deep breath – Imperial Grand Premier Tobysden Tallulahbelle! 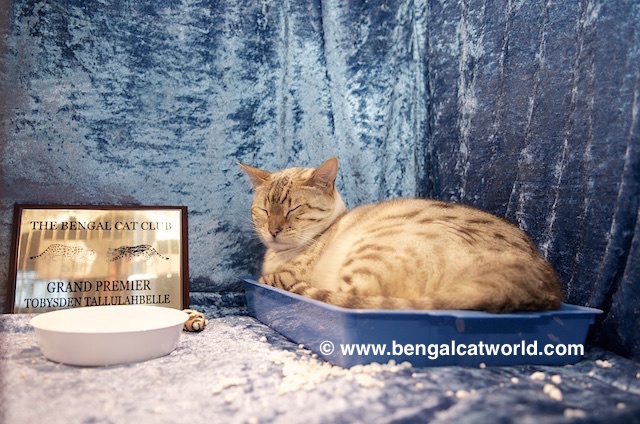 Lula loves showing off at cat shows, but can also quite often be found to be sleeping in her litter tray, as you can see here from the biggest cat show we go to, The Supreme! 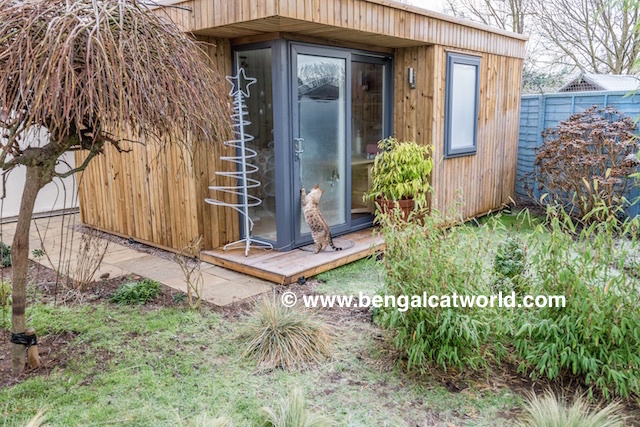 Of course, Lula’s biggest enjoyment in life is to be out in the cat garden, whatever the season! 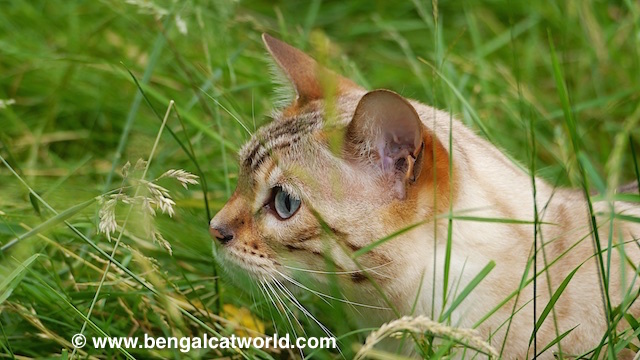 In the spring and summer she loves to chase bugs and just sit in the sun, whilst in the autumn and winter her attention turns to watching the birdies which she can see much better when there are less leaves on the trees! Taking time out to sunbathe! 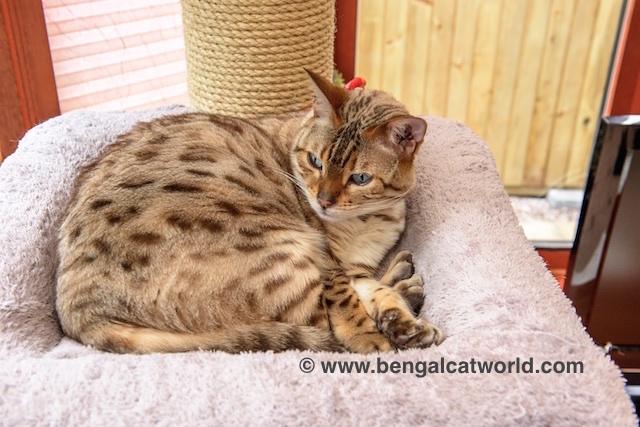 Of course, she still enjoys a nice catnap on the comfort of our lovely Tigga Towers tree, and from here she can watch the world go by in the big garden – some might think we’re all spoiled for choice! So that’s Lula! Only four more cats to go … Who will be next? She’s so beautiful. 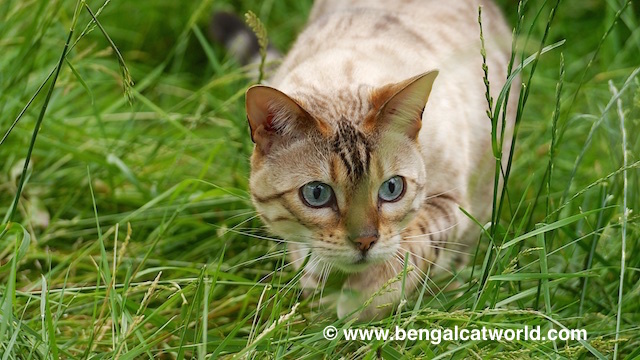 I love here Bengal spots.